Over the past decade, Cadillac has been hard at work trying to bury its image as "the car your grandparents drive." In "the good old days," Cadillacs were large, soft cruisers built for comfort packing an underpowered V8 with a huge displacement and comfy pillow-top seats that held you in place about as much as a school bus seat, (but boy were they comfy). Now that these cars are long gone, Cadillac is working on improving its image once again. GM wants buyers to forget about the iffy models of the '90s and 2000s. GM has ditched its old practices of rebadging some other model as a Cadillac and filling it with fake wood. Perhaps the most important model to come from Cadillac this century was the CTS-V. The first generation CTS-V came out in 2004. At the time, the 5.7-liter LS6 V8 produced 400 hp, which was more than the E39 BMW M5. Unfortunately for Cadillac, the E39 M5 has already gone out of production. The CTS-V was a nice start, but when the 500 horsepower V10 E60 M6 came out in 2006, the Cadillac was left in the dust. The first generation CTS-V only lasted until 2007, but it did something extremely important for Cadillac: earned credibility. The letter V could do for Cadillac what M does for BMW. When you saw a V badge, you knew that you were looking at something special. Cadillac put the V badge on the STS sedan as well as the XLR sports car, but neither of these models was really a success. 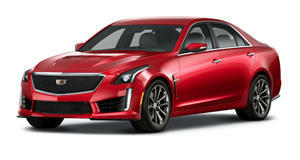 V really became a household name in 2008 when Cadillac unveiled the followup to its CTS-V sedan. The second generation CTS-V packed a 6.2-liter supercharged LSA engine which was based on the LS9 from the ZR1 Corvette. This beast of an engine put out 556 hp and 551 lb-ft of torque in stock form. This was far more powerful than anything from BMW, Mercedes, or Audi at the time, and the CTS-V started gobbling up track records for sedans. Not only was the CTS-V a quick sedan, you could also get it as a coupe or wagon, and with a six-speed manual transmission. The CTS-V only had one disadvantage compared to the Germans: its price. Back in 2008, you could buy a new CTS-V for around $58,000. That meant that for less money than an M3, you would be getting a car that was more powerful than an M5. This may sound like a huge advantage, but it prevented Cadillac from being able to say that it was truly ready to be taken seriously alongside the Germans. Yes, it is amazing that for less than an M3, you were getting a car that had over 130 horsepower more, and that is why many people decided to buy one. However, fans of European cars could always say that the CTS-V lacked the requisite quality, or else, why would it be so cheap? The second generation CTS-V made big strides on the interior, but it really wasn't that much better than the nicest cars from Chevrolet at the time. Fast forward to today, and Cadillac is finally ready to compete head to head with the Germans. The ATS-V is proof of this. The ATS-V is smaller than the second generation CTS-V and far less powerful, but just look at its price. 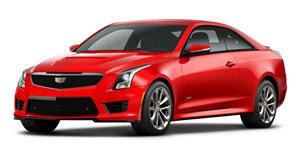 The ATS-V sedan starts off at $60,465. That is more than the second generation CTS-V, which was only $58,575 when new. Even though it's more expensive, the ATS-V only has a twin-turbo V6 with 455 horsepower. That is about 100 hp less than the CTS-V, but the price is now just below the newest M3. Meanwhile, the third generation CTS-V now starts at a whopping $83,995, which is much closer to the M5 and E63. 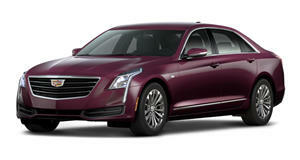 Cadillac's entire lineup has been drastically changed to compete with the German manufacturers. The ATS is a rival for the 3 Series, the CTS is now a rival for the 5 Series, and we suppose that the CT6 is an attempt to match the 7 Series at a lower cost. Cadillac is definitely trying to target BMW, but it hasn't completely ditched its old identity from the 2000s. We wont count the lame-duck SRX, which is already set to be replaced by the much improved XT5. However, Cadillac does still build the FWD XTS, which costs exactly the same as the RWD CTS. The XTS caters to an older clientele that isn't interested in sportiness just like the ES sedan does for Lexus. Cadillac also builds the gargantuan Escalade, which is starting to make very little sense in the growing landscape of hybrids and crossovers. While the brand isn't quite there yet, Cadillac has clearly made some excellent strides to prove that it should be taken seriously as a global player in the luxury car market.